Washington Arms is a townhome community built by Wildener Corporation. The featured Patriot model is a three bedroom and two and a half bath home that has a first floor master suite, granite counters, and stainless steel appliances in the kitchen. 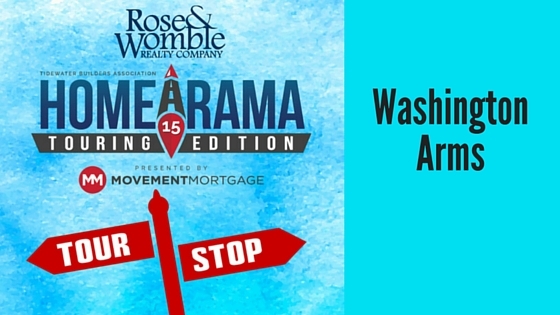 This is another tour stop for #RWNewHomes for the 2015 Tidewater Builders Association’s Homearama Touring Edition.